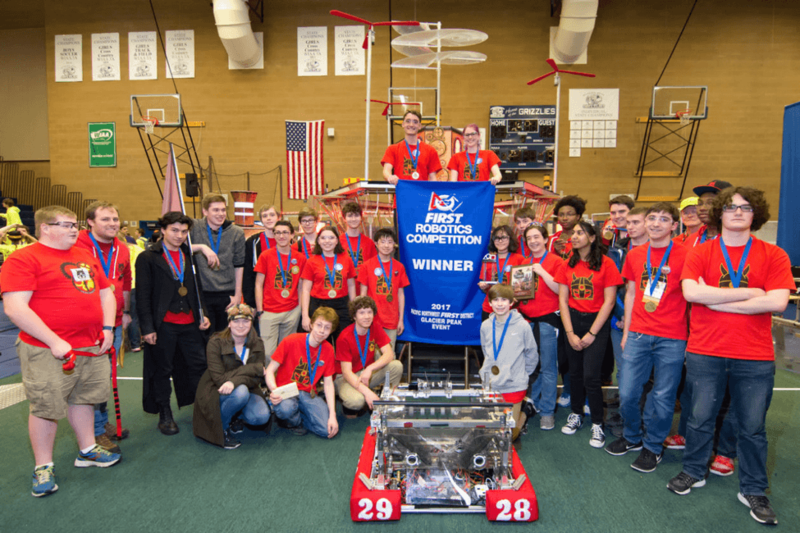 Ballard High School’s Viking Robotics club poses with their winning robot. Photo courtesy of Viking Robotics. 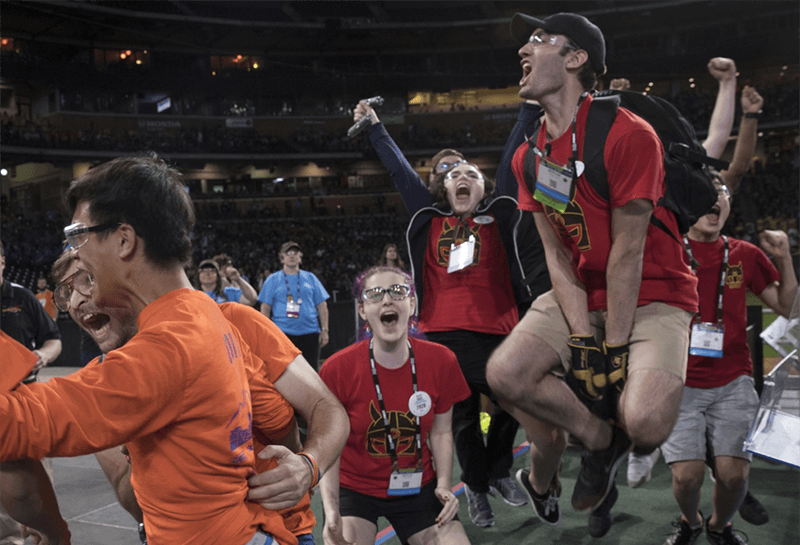 It’s a bit of a community tradition to use Tableau in creative ways, so it’s no surprise that Tableau software engineer Logan McNamara partnered with a high school teacher in Seattle to win the 26th annual FIRST Robotics Competition. Well, maybe it’s a little bit of a surprise. With a new set of rules each year and time constraints in place, student teams raise money to design, build, and program robots that compete head to head in a well-attended arena. This year, robots had to shoot 6-inch wiffle balls into a goal, affix 1-inch gears to a peg that turned rotors, and got bonus points for using ropes to climb into a special area on the playing field. When the battle begins, teams are allied to score points together. Choosing your allies is a process known as “scouting.” Because the rules and competitors change each year—and are unbeknownst to competitors beforehand—partnering with the right teams is vital if you want to be successful in all parts of the competition. Enter Tableau. Viking Robotics celebrates at the FIRST Robotics World Championship in Houston. Photo courtesy of The Seattle Times / Adriana Groisman. Before heading to Houston, Justin caught up with Logan, the Tableau software engineer. “He caught me walking back from the gym and asked if I thought Tableau could help, so I said I’d try! It was after build season was over, and everyone was trying to figure out what was going on,” she explained. In an epic ultimate face-off, the Vikings held onto a narrow lead against their rivals to become world champions. "Coaching the robotics club just came with the job, but it’s turned into my favorite part: At the beginning of the year, kids won’t know how to turn a screwdriver, but by the end, they’re engineering things that sometimes I don’t even understand. That’s pretty rewarding." Tableau is a proud sponsor of the FIRST Robotics Competition. Teams can find more information about accessing our software for free in the Kit of Parts. We also have a dedicated resource page for teams who use Tableau in the competition that includes video tutorials, Tableau workbooks, and instructional whitepapers. Tableau’s Academic Programs provides students and instructors worldwide with the resources to learn and teach Tableau for free. Learn more.